Rounded shape with lots of pockets are great features of this small purse pattern. 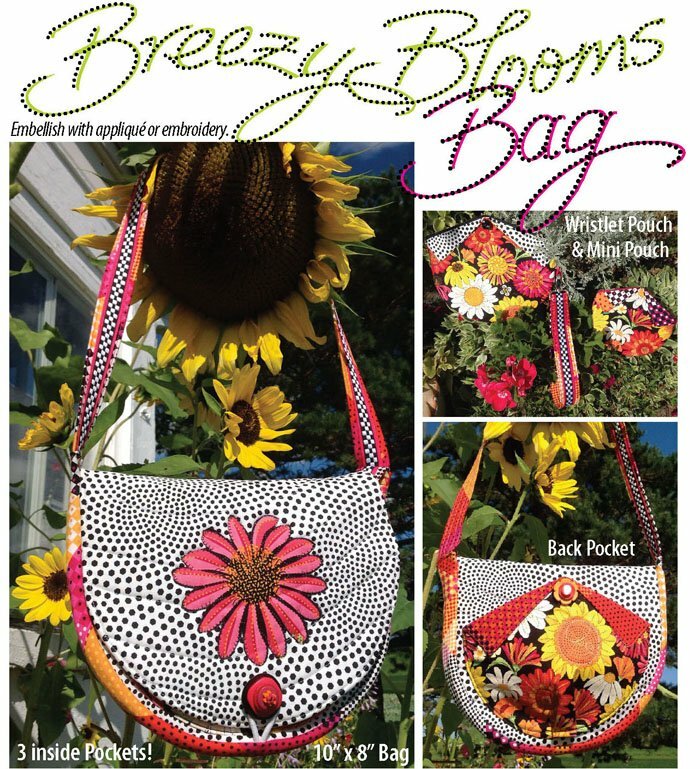 Unique expanding pocket on back, two zippered pouches and a wristlet strap are also included. Feature applique or embroidery on the flap to show your creativity. Finished Size: 10" x 8"
Designed by: SRP - Susan Rooney Patterns - Susan Rooney & Ruthann Stilwell.